If you need to get a better overview, you can easily delete created meeting minutes in a few steps. To get to the meeting minutes overview initially choose “Meeting minutes” in the menu bar on the left side of the page. 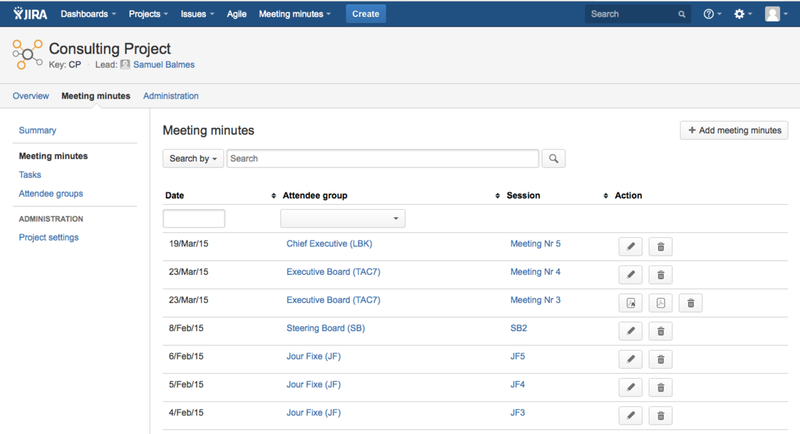 Now you will get an overview of your created meeting minutes with the related attendee groups. 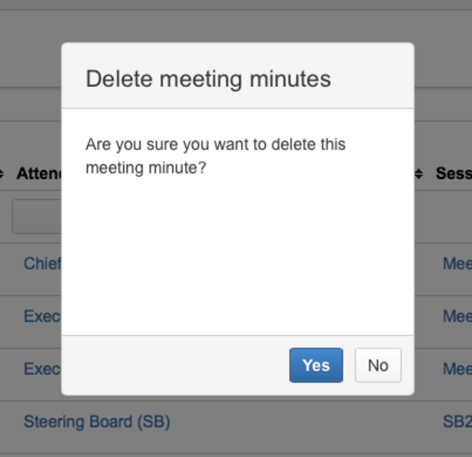 In the next step choose the meeting minutes you want to delete and remove it with a simple click on the “Bucket” button. Confirm the following dialogue with “Yes” and the minutes will be deleted. The meeting minute is deleted and will not be shown in the overview any longer.